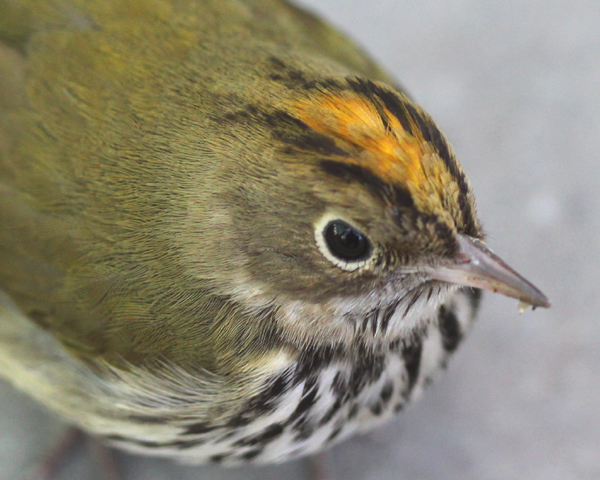 An intrepid New York City birder has been keeping tabs on an Ovenbird that has apparently decided to make the attempt to spend the winter in Bryant Park this year. 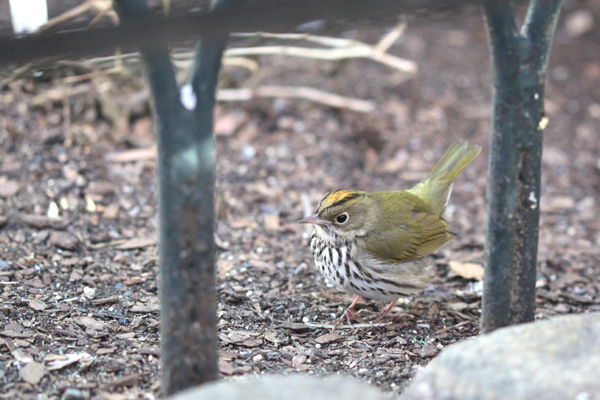 This birder has also been kind enough to keep the rest of the New York City birding community aware of the Ovenbird through the wonder of the local listserv. 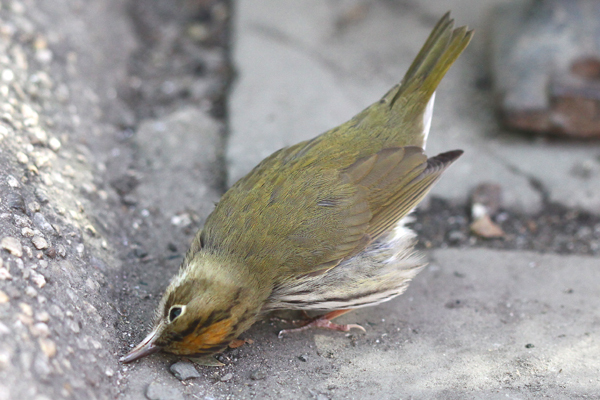 Bryant Park, located between 41st and 42nd Streets on Sixth Avenue in Manhattan, is a pretty unlikely place for an Ovenbird to winter but compared to the rough streets of New York City it must appear as a veritable paradise to a hungry wood-warbler. Of course, midtown Manhattan is also a good place to get some much needed presents for the holidays, so on a recent present-buying expedition I decided to lug my camera and spend a few minutes trying to get better acquainted with the out-of-place Seiurus aurocapillus. 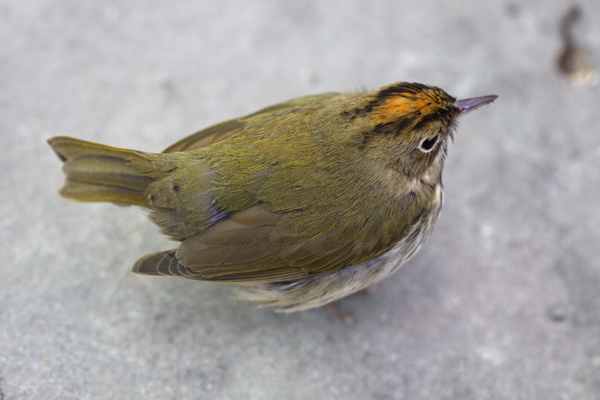 Anyway, this Ovenbird was perhaps the most cooperative wood-warbler I have ever had the pleasure of photographing. It constantly amazed me with its boldness, even walking under a chair I briefly occupied. I am rather pleased with the shots I got with my 100mm macro lens, but, to be honest, it would have been difficult not to get some decent shots with a subject that was willing to walk underneath me! Here’s hoping that this plucky little bird survives until the Christmas Bird Count in Manhattan and through the winter! This post has been submitted to Bird Photography Weekly #69. Go check it out! Geez Corey, I have problems getting bird photos with a 400mm lens and here you are with a macro lens 🙂 Amazing. Beautiful shots! Truly a beautiful bird, and really wonderful shots of him! I’ve seen the orange head before but never saw it look quite as glowing as this! What a cool encounter! And beautiful photos! I adore it’s devil-may-care attitude. …what a sweetie, and your photos are gorgeous! 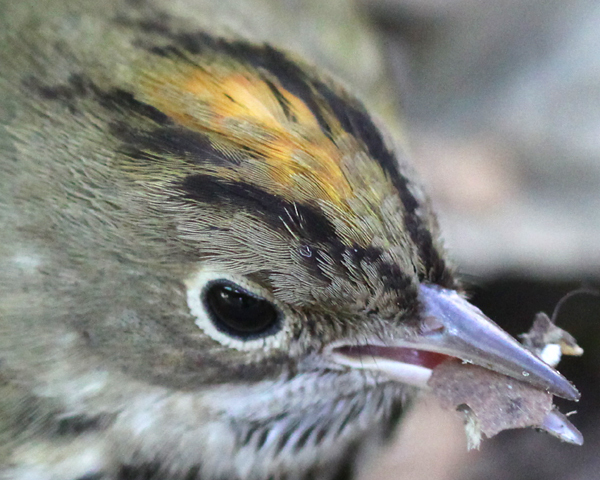 awesome up close and personal shots of this warbler. I haven’t seen one in way too long! 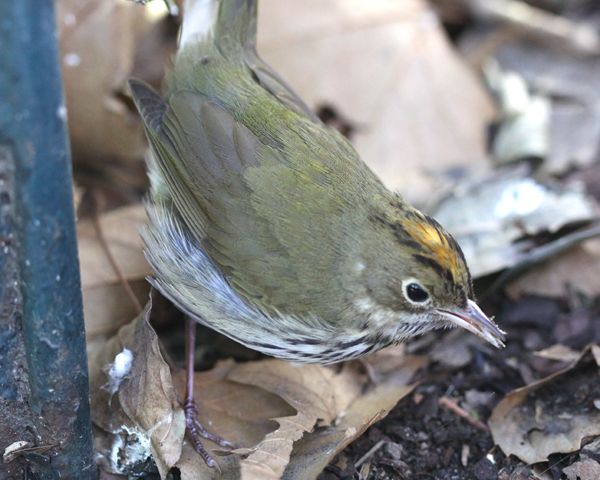 Super photos of the Ovenbird Corey! The first and last shots are most spectacular. I hope it stays around for the CBC too. Wouldn’t that be cool? Someone will have to write that up! Boy, would I love to have a close encounter like that with an Ovenbird! Another would-be lifer for me, too! Great shots, Corey! Over the top, Corey. These are incredible photos. 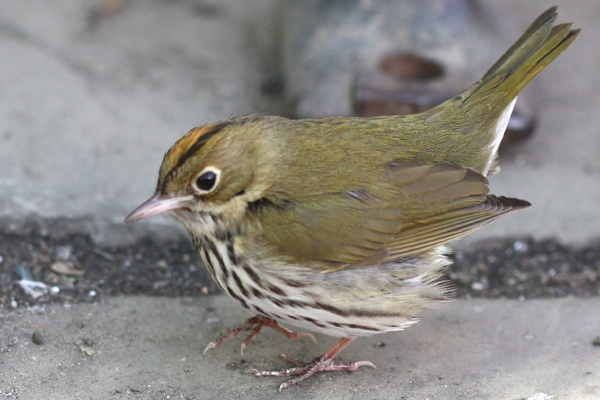 I got a great look at a feisty little ovenbird today near the corner of 59th Street and 9th Avenue. My late dad was an enthusiastic birder and I always really miss him when I see something good. He would have loved this, so I’ll share with you all instead.